We at Pacific Cabs pride ourselves on our reliability, service and commitment to our customers, ensuring that your call to us is a highly enjoyable and memorable experience. You can rest assured that both our cars and our taxi drivers meet all the safety requirements ensuring that you arrive at your destination in complete comfort and safety. Pacific Cabs provide many services that will make your transportation needs easier and cheaper. 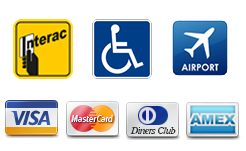 We have 69 taxis containing 13 wheelchair accessible Vans and 3 – 6 passenger vans. We have computerized dispatch with GPSs and prebooking service 24 hours per day. We deliver small packages, alcohol and cigarettes and do jump starts as well.